With the release of Apple watch last month, consumers are all about finding concrete and good reasons to justify a $17,000 expenditure for a wrist watch. Apple’s arch-nemesis, Google, already has its own watch OS—the Android Wear; and brands like LG, Motorola, and Samsung make smartwatches that run it. 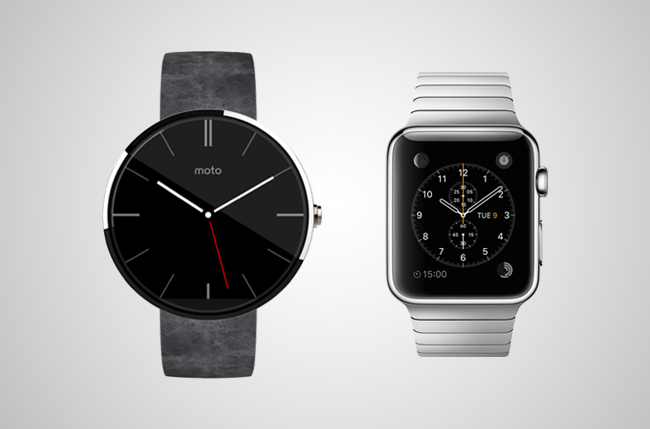 The war between Apple Watch and Android Wear are going hot. Here’s how the two compares. The newly launched Apple Watch isn’t just another futuristic gadget, but a statement fashion piece. Apple made sure that their smartwatches look as good as traditional timepieces in the market with its promising selections—the Watch Sport, Watch, and Watch Edition. Wrapped in aluminium (Watch Sport), steel (Watch), and gold (Watch Edition), these watches come in two different sizes: 38mm and 42mm. On the other hand, if you want the traditional round look of a wrist watch, Google has is for you. However, with so many Android Wear watches in the market, we find that only Huawei Watch and Motorola Moto 360 are the ones that look attractive. The rest, they look like nerd toys instead of fashion accessories. One of the major concerns about the Apple Watch is the battery life. Apple claims that the watch can last for 18 hours, which means you’ll need to recharge the watch every night. And for someone who uses the watch more than usual, this can be a problem as you’re likely to be left with a dead watch before your day ends. However, before bashing the Apple Watch, keep in mind as well that Android Wear also bears the same problem. Just like Apple, it doesn’t have promising battery life span. The least expensive you can buy from the Apple Watch line is the 38mm Watch Sport, which costs a hefty $350 in US. The 42mm of the same model costs $400. The 38mm Watch will cost you $550, while the 42mm of this model will set you back at $550. For the luxurious Watch Edition, you could end up paying a skyrocketing price of $17,000! Seriously, that’s one pricey gadget. 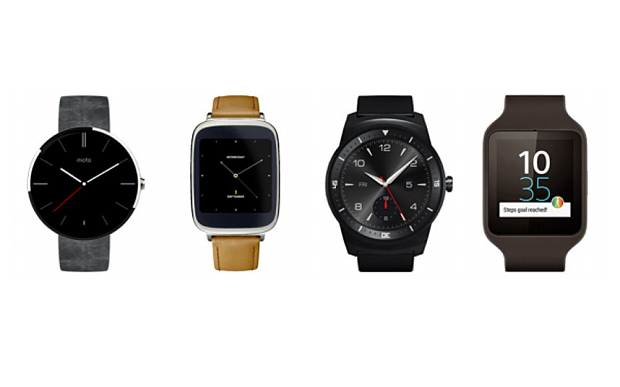 For a much more affordable option, Android Wear has so many to offer. Starting anywhere between $200 and $300, you already have numerous options to choose from. The new Apple Watch hasn’t been in the market for so long, so maybe we haven’t seen its full capacity yet. And for the pricing, who knows, maybe Apple will finally take the plunge and compete against Google’s pricing—though knowing Apple, it’s never going to happen but hey we can dream!